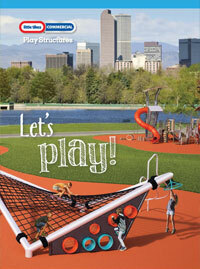 Little Tikes Commercial Play Systems has been manufacturing quality playground equipment for over 35 years. Their equipment has been time proven and tested by millions of children across the globe. Due to their reasonable pricing, durability, and innovative designs, Little Tikes Commercial Play Systems has been a favorite among schools, state parks and recreation departments, developers, builders, and faith-based organizations for many years. In addition, all Little Tikes Commercial equipment is IPEMA certified to meet and exceed all CPSC and ASTM playground standards. 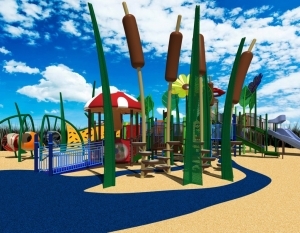 At Playworx we understand the role a playground plays within a park setting. It is often the main attraction; the first place a child runs to for fun and entertainment, and a place where parents congregate to watch their kids grow. It is for this reason that we continue to design and engineer the most innovative and challenging playground structures available, while maintaining strict adherence to all applicable safety standards. So whether it be an exhilarating slide, challenging climber, or a comfortable bench from which to observe, our products are sure to create a play environment unlike any other. Not many adults remember the days of recess, but at Cool Playgrounds it is still our favorite subject. Children need a place to escape that not only allows them to exercise physically, but also provides an environment to develop both cognitive and social skills. Whether it be a fast slide, challenging climber, or a curriculum based play sculpture, we understand the benefits a playground can have in the development of children. Please take a minute to browse through our products and you will see why any of our modular systems can improve your everyday school activities. And if you’re concerned about space or budget, we’ve got that covered too. All of our systems are completely modular and therefore can be designed specifically to meet you site requirements and your budget. Playworx is dedicated to serving all faith-based communities. Our modular play structures and/or independent play events can further enrich your environment by providing children with an opportunity grow physically, cognitively, and socially. If you need assistance with financing, we can help with that too. 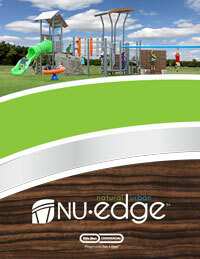 Simply contact your local sales representative who is prepared to assist you with complete playground design, surfacing options, installation, and financing options. 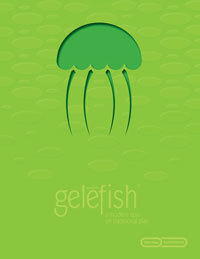 Children who visit your hotel/resort need a place to break free where they can play and let their imagination’s soar. A modular play structure from Little Tikes Commercial can serve as this outlet, while also helping to attract potential visitors. Browse our site to learn about the play structures and independent play events that can be added to your grounds to complete your guest’s lodging experience. Neighborhood children need a place to gather and play. A modular play structure from Little Tikes Commercial is the perfect addition to your development to add that element of fun, not to mention that it will attract prospective home buyers. 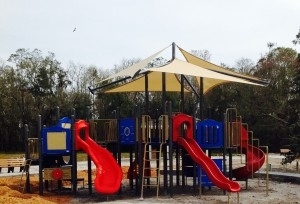 Contact your local sales representative who can custom design a play structure to meet your requirements and assist you with the installation. 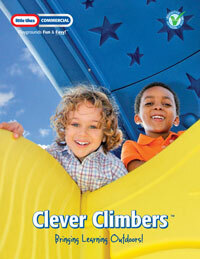 All of Little Tikes Commercial’s play equipment is designed to encourage physical activity. Whether it be a traditional play structure, Infinity Climber, or Ten Station Fitness Center, we promote continuous activity in order to elevate a child’s fitness level. Please contact your local sales representative to learn more about our products and how they can help you to achieve your goals. 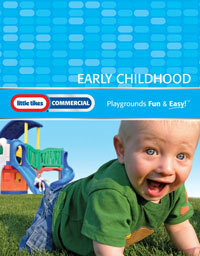 Click here for the full line of quality Little Tikes commercial playground equipment.